Specifically designed to not create the ''boomy'' highway resonance common on many other popular exhaust systems, the AAM Competition 3'' Single exhaust is a y-pipe back exhaust system made of mandrel bent T-304 16-gauge stainless steel to ensure the highest reliability and quality. 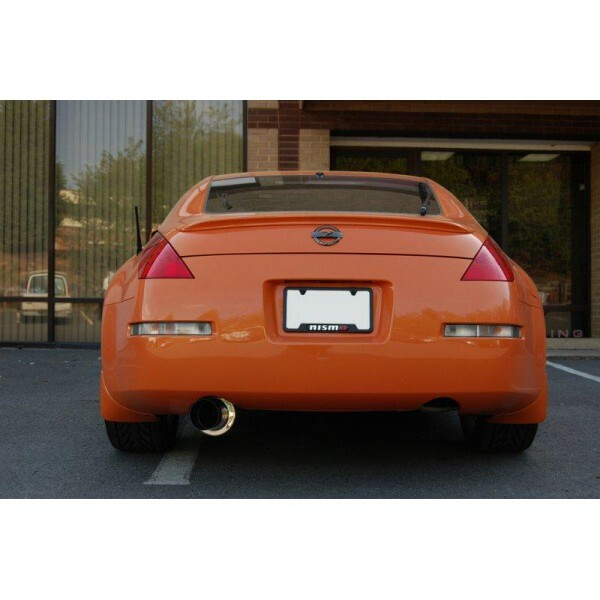 The mufflers are 3'' N1 style high-flow turbo mufflers that produce a deep aggressive tone. The AAM Competition 3'' Single exhuast gives our customers all the advantages (unrestricted flow and maximum horsepower) of a straight-through cat-back exhaust system while retaining an exhaust note as tame as possible. 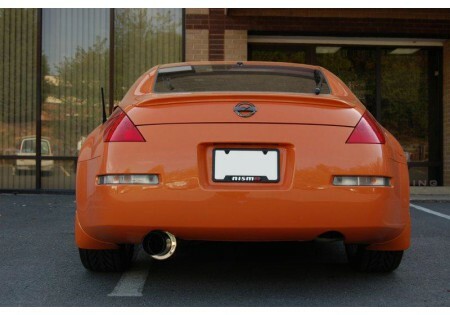 The 3'' Rear Section is the perfect combination of sound and maximum exhaust flow excels in both naturally aspirated applications and Supercharged 350Z's. 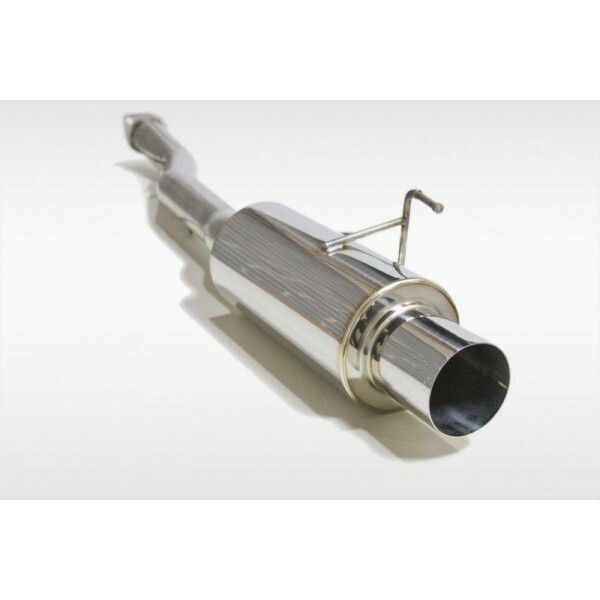 The single, lightweight Stainless Steel Muffler guarantees excellent durability and corrosion resistance and comes with fully polished Stainless Steel Finish. Dyno tested 10rwhp on a 2004 Nissan 350Z!